Today is National Quilting Day. A couple of weeks ago, I wrote a post about patterned structure and found a great quilt to use as an example by googling. 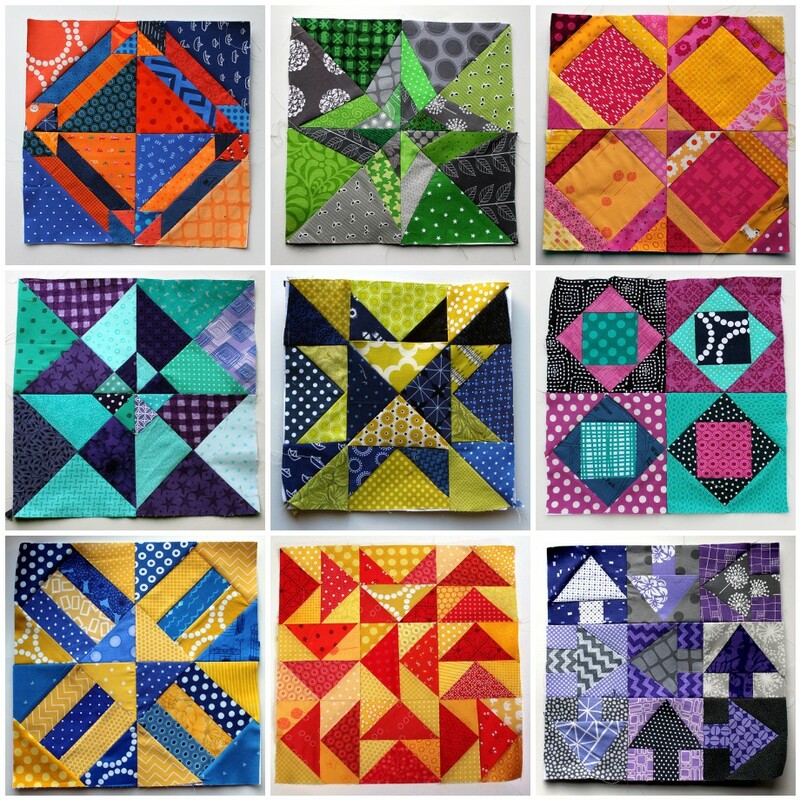 This week, I needed another picture for this post and found a great example of quilt squares by googling, and then realized both examples were by the same woman. I think I’m a fan. It’s Cath Hall of Wombat Quilts, so thank you very much, Cath! I’m actually up incredibly, stupid early so that I can go to quilting class today. If you’re interested, the Quilt Show is free this weekend https://thequiltshow.com/ and is having a huge giveaway contest if you’re willing to give up your email address. I cannot bring one more thing into this house. Except for the Wolle’s yarn that came in the mail today. Gorgeous stuff and cotton for summer, too. Absolutely save the kit. Especially the buttons. Wow! I love these, and they make for a cheerful beginning to the weekend. Love to quilt! As my shirt says, I quilt so I don’t kill people! Were you in my class today? That t-shirt was! I, on the other hand, am such a horribly impatient seamstress that I’d kill people if I had to quilt. I haven’t been quilting much since taking on the role of social media coordinator for a nonprofit. And today I need to finish up a manuscript to submit on Monday. It sort of seems appropriate for the day, though, since it’s about a quilt appraiser who’s solving the murder of a quiltmaker. Ooh, I believe I want to read this series! Adorable cover and I too appreciate that the quilt uses the title block! Hmm, better get off the internet and back to my workroom. So beautiful. I understand the calm feeling one gets from sewing because it happens to me. However, interestingly enough, the idea of quilting never appealed to me. Actual quilting, moving the needle in and out of the fabrics in patterns, is very soothing. I love it and haven’t done it in ages. I love quilting. It is my happy place. I love putting all the different colors together to create something new. At my wedding all the guests signed a fabric square, so I could make a quilt from those ,some scraps from my wedding ress, some blocks a few quilting friends made and fabric from the dress my mother wore at her engagement party. I do have a woman who does nice quilting and other fabric arts at The Artisans’ Guild, so I content myself with looking at her work. She once did a special huge wall hanging for me to hang over my bed (it was my reward to myself for publishing my first book with Llewellyn, way back when) with a goddess and a cat, and the four elements. Very gorgeous. As for quilting, I’ve tried it, but man, it feels so sloooooooow to do. And huge. Sort of like writing a novel. I envy people with an eye for pattern like that. Totally works. I had a brief flirtation with crazy-quilting. I just loved it. Never knew what I was going to come up with in the end, but it was so fun mixing and matching the colors and textures (I didn’t really do patterns; my favorite piece was from various bits of old denim, so I wasn’t even working with colors at that point, just shades of indigo). I had trouble figuring out how to post this on your FOOD page – Sour Cream Pancakes recipe – I cannot take credit for this recipe, but I think it is just what you are looking for. Pioneer Woman has a recipe called Edna Mae’s Sour Cream Pancakes, and they are delicious.